The media has been attacking Rep. Devin Nunes (R-CA) over his decision to inform Donald Trump about evidence that backs up Trump’s allegations that Trump Tower was wiretapped by Barack Obama. But not everyone is taking that bias lying down; Trey Gowdy appeared on CBS’ “Face the Nation” and he shut down anchor John Dickerson’s bias quick. Dickerson kept pushing Gowdy about it and Gowdy didn’t back down. Dickerson then tried to claim that the committee was “unhealthy” and rife with passive-aggressive posturing. 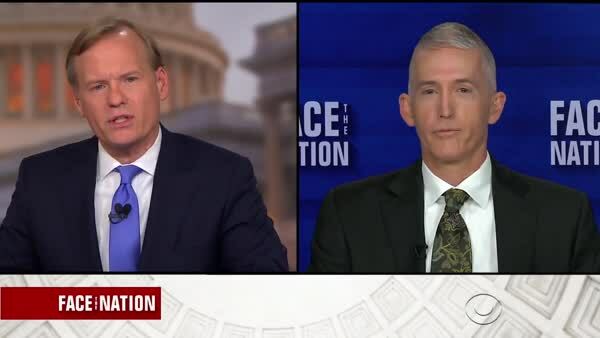 “I actually think Chairman Nunes and ranking member Schiff are both good men and I think they get along fine,” Gowdy responded, shutting down Dickerson’s argument right.